A fragrance that celebrates individuality, Versace Pour Homme Dylan Blue is crafted for today’s modern man. As multi-faceted as the man that adorns it, Versace Pour Homme Dylan Blue breaks boundaries with its fresh, palpable personality. It makes its mark on your senses today, and tomorrow. 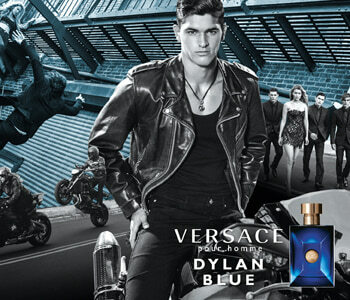 Where strength meets vulnerability is where Versace Pour Homme Dylan Blue can be found. A fragrance that reflects a man at its very core.